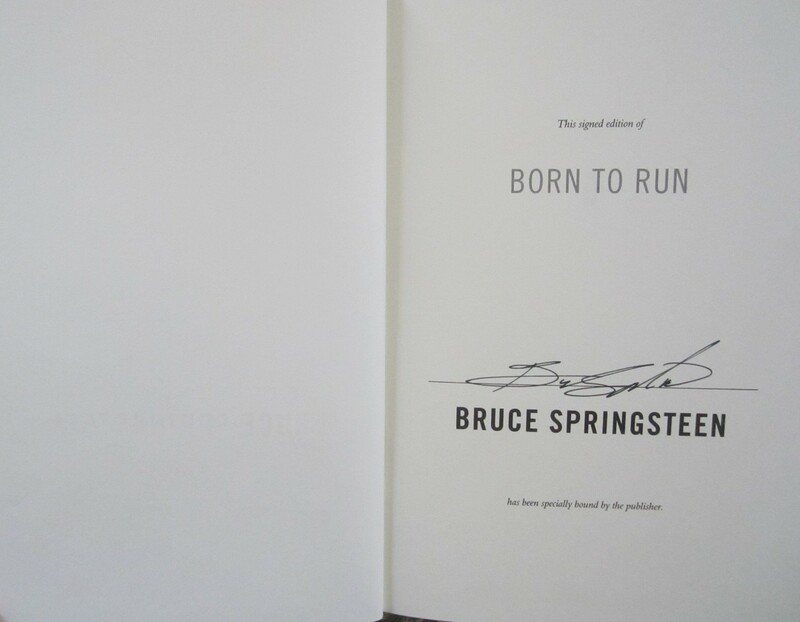 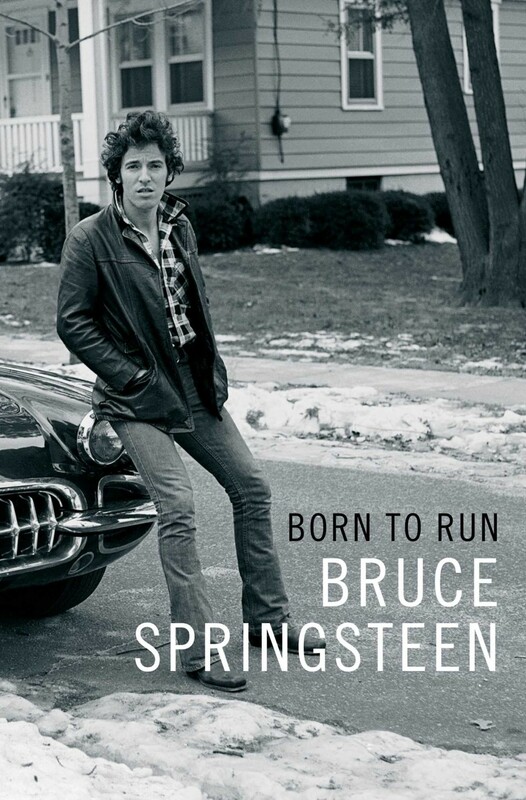 Born To Run hardcover signed first edition book autographed beautifully on special title page in thin black marker by author and legendary rock star Bruce Springsteen. 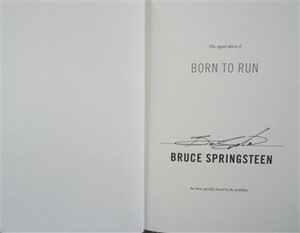 Obtained at 2016 publicity tour, with certificate of authenticity from AutographsForSale.com. ONLY ONE LEFT.